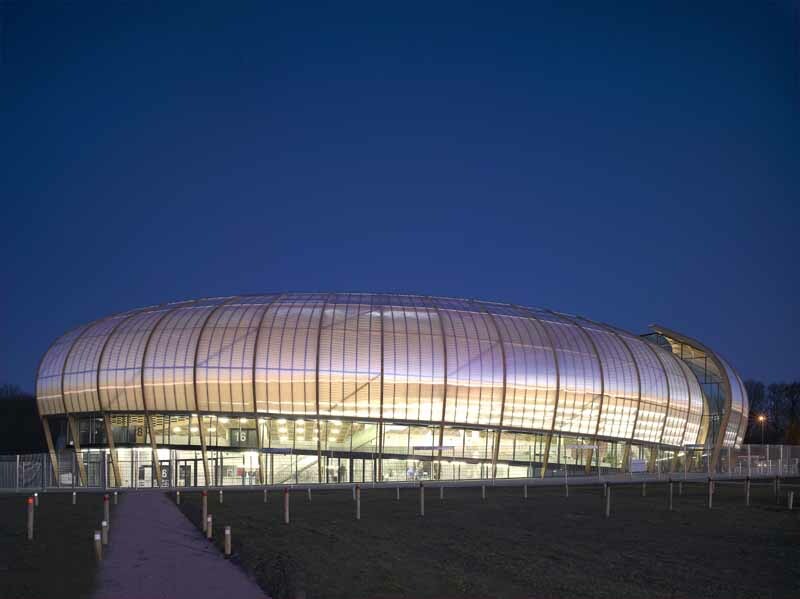 Following a limited international competition in November 1990, Ian Ritchie Architects won a commission to design a Cultural and Sports Centre in Albert, Northern France. Ian Ritchie Architects were the only non-French team invited to compete. We were also asked to construct manage the project as an demonstration project for the Ministère de l’Equipement. It was completed on time in ten months and within cost and opened in February 1993. The centre includes a 600 seat theatre and a competition gymnasium hall which can be combined together as one space to create a large space for exhibitions, banquets and other cultural events.